What do you think so far? Any thoughts on growing your own garden? I hope so! If yes, today’s post is a must-read to avoid frustrations. Just this morning we were watering our garden and who greeted us but a small brown bunny. We were wondering who had been munching on a few of our plants! One of the reasons I love to work the land is to honor our Creator. I view it much like being a good steward of a fine piece of art. Though I know one day this earth will pass on, for now I want to be faithful to what the Lord has given me: a backyard, soil, seeds, sunshine and water. And Part of raising a garden is learning how to live in tandem with critters (like our rabbit). And part is learning how to control the detrimental pests without toxins that could harm you or animals. Monday we talked about Choosing the Right Garden for You & Mixing Your Soil. 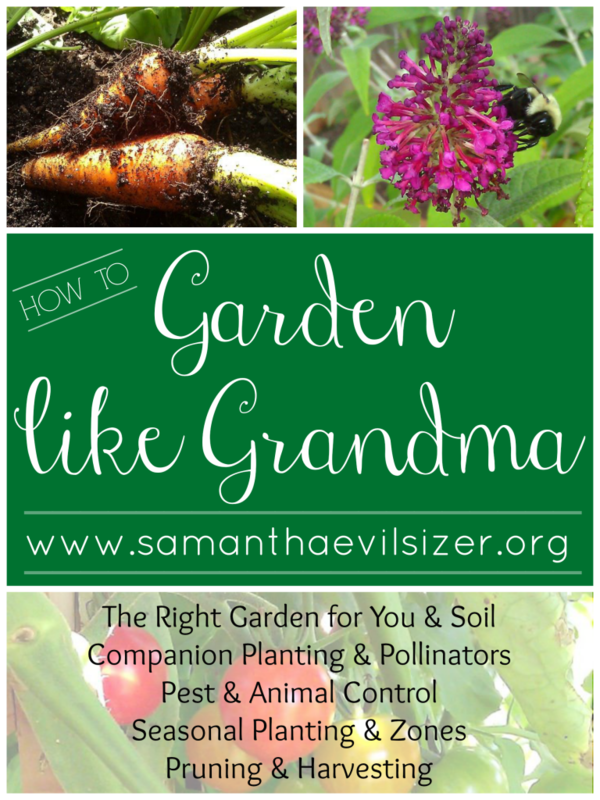 Tuesday we discussed Companion Planting & Pollinators. It has been so fun hearing from you this week about your own gardening experiences! Today we’re talking about pesticides and animal control. I’ll preface this by saying Joshua and I only use organic, non-harmful solutions. I’ll start by saying, there are a TON of homemade recipes out there to deter or delete harmful pests from your gardens. If you have found something that works for you, by all means use it. That’s awesome! After trying quite a few ourselves, we’ve found these solutions just aren’t that effective. Sad, but true (at least for us). For instance, we read that used coffee grounds kill ants, so we tried two tactics. 1. Dump grounds on ant hills. RESULT: Angry, caffeinated ants that moved 3 feet over and came back in double force with a vengeance. That was fun. 2. Line the exterior of our beds with coffee grounds. RESULT: Ants were kept at bay, but the grounds washed away after a few rainy days. That was a lot of work with little benefit. Over the years I’ve tried hot pepper spray, vinegar, salt, herbs and more homemade recipes as pesticides. 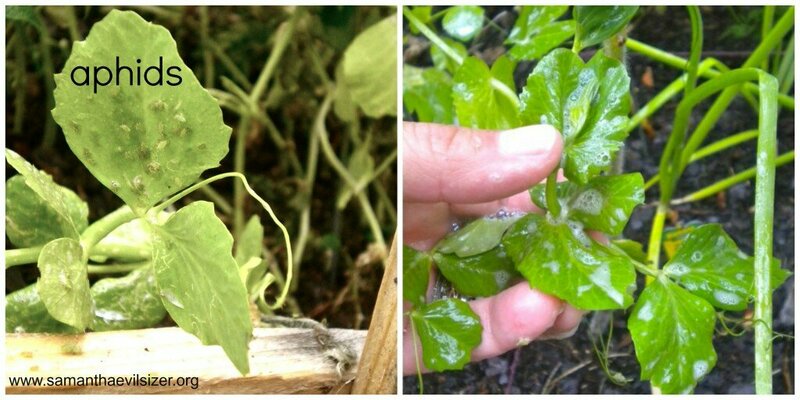 The only one I’ve found useful in getting rid of pests is a soapy water spray on my snap peas infected with aphids. I mixed a tablespoon of dish soap with water in a spray bottle, wet my peas, and gently rubbed the top and bottom of each leaf, getting rid of the pests. Keep in mind this only got rid of the aphids, it didn’t deter them from coming back. Bummer. So, after much trial and failure of homemade pesticides, we’ve turned to commercially produced products. Please don’t let those words send you running. Every pesticide we use is food grade: this means you can eat it. Yes. EAT IT. No joke. 1. Diatomaceous earth (food grade, NOT pool grade. Repeat: NOT pool grade): DE is naturally occurring, soft sedimentary rock that easily crumbles into a fine, white’ish powder. It’s made up of all kinds of cool things like fossilized skeletons, organisms found in water, algae, and silica. When crushed, all these things break up into tiny pieces that feel like glass to insects. To humans, it feels like baking flour. How Does It Work? The sharp pieces pierce and scratch the outer layer of insects, puncturing holes in to which DE is absorbed. This causes dehydration. When the insect dries up, it dies. Benefits? Well, it’s non-toxic, so that’s a good thing. People actually eat this by the spoonful in the thought that it will rid them of any internal parasites. We haven’t done this ourselves, but probably have eaten it unbeknownst to us. Grain farmers toss DE in their silos en masse to kill insects. Hence, DE is packaged in our rice, flour, wheat and barley products. You may have had some in your Reuben at lunch! It’s easy to use. Read the directions on the back of the bag for instructions and then decide what is best for you. We simply sprinkle it by the handful around the base of our plants. Application: Outdoors in your garden, you can sprinkle DE on or around your veggies from seed to harvest with no harmful effects. Indoors, you can use DE to get rid of fleas, bed bugs (hope you don’t have these! ), earwigs, cockroaches and virtually any other bug. The wonderful thing about DE is that it’s not chemical based, so if used indoors, you don’t have to reapply constantly. Just leave a pile of this stuff where bugs are coming in. They’ll die. You will need to re-apply outdoors after it rains if you see pest activity or for preventative measures. Read the directions on the back of the bag for instructions and then decide what is best for you. 2. Fertilome Triple Action Plus II: FTAP is a mixture of pyrethins (natural, organic compounds normally derived from the chrysanthemum cinerarifolium), piperonyl butoxide (an organic compound derived from safrole which is an oil extracted from the root-bark or fruit of the sassafras plant), and neem oil (an organic oil pressed from the neem tree). How Does It Work? FTAP is an insecticide, fungicide, and miticide that kills eggs, larval and adult stages of insects, and controls plant diseases. Pyrethins attack the nervous system of insects and act as a repellent. Piperonyl butoxide increases pyrethins’ effectiveness. Neem oil’s potent odor repels a wide variety of pests and it interferes with insect hormone systems, i.e. insects have a harder time laying eggs. The important thing to remember when spraying this is to only get it on the leaves that your harmful insects are eating. They will either ingest it or be deterred by the smell. Be sure to not spray your flowering veggies that your beneficial insects will flock to, such as your bumblebees collecting pollen. Benefits: FTAP is non-toxic and organic. You can use it up to the day of harvest. Application: Follow the directions on the bottle. You will mix a small amount with water in a spray bottle. Apply on a 7-14 day rotation. There are a lot of great organic pesticides and homemade recipes out there, but these are the two pesticides we use and have found effective. You will need to decide what is best for your budget, family, time, and insect action. Remember some of the other natural ways to control harmful insects we’ve talked about already! Plant flowers that attract beneficial insects that will prey on harmful insects. Plant companion plants close together to confuse harmful insects. Plant flowers that detract harmful insects (our favorite is marigold!) 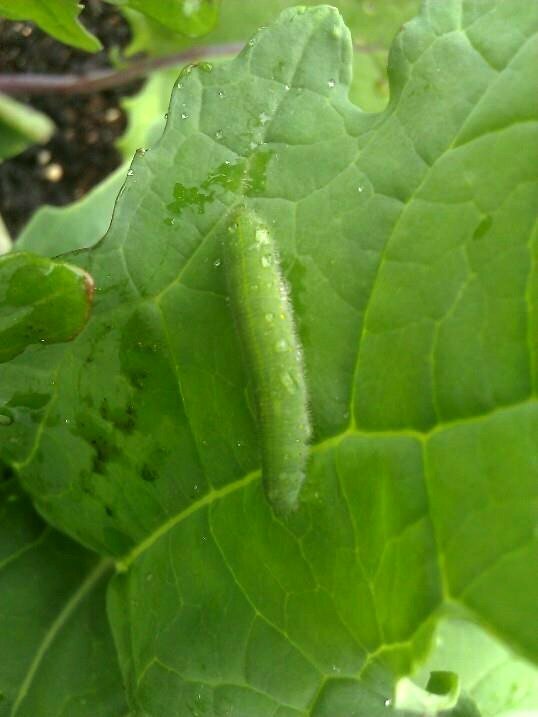 and ones that attract harmful insects (nasturtiums are great to lure aphids away from tomatoes). You can set out traps for your pests such as beer in a bottle laid on it’s side. This will attract slugs. Pick up decaying veggies/fruit that are lying on the ground. If you have mulch around the base of your plants, be sure harmful insects aren’t making their home under it and feeding on the stalks of your plants. If so, pull it back. Chipmunks and rabbits are so cute with their chubby little cheeks and furry tails, aren’t they? Um, sort of. They’re not so cute when those cheeks are full of leaves and their tails are shaking in victory over consuming yet another squash plant overnight. Yep, that happened to us last year. For several days in a row, every morning we’d wake up, check the garden, and another plant would be nibbled to the ground. Ugh. What can you do? Several things! 1. Study your yard to be sure what animal(s) are eating your harvest. This will help you determine what kind of controls you need. 2. If you have a fenced-in yard, be sure to patch up any holes where critters can sneak in for a midnight snack. 3. If you don’t have a fenced-in yard, never fear! You have lots of options. 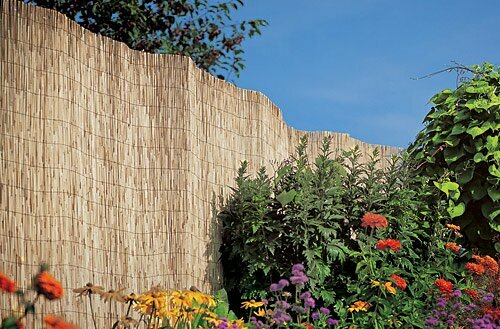 Build a solid fence around your garden out of cheap material like bamboo or chicken wire. ~ If you can build a tall fence, do so at an angle as deer can jump high. A 45 degree angle will give them pause before jumping. Cover your plants in wildlife netting, a mesh tent, or a greenhouse. Plant protective plants on the perimeter of your yard such as bushes with thorns (blackberry/raspberry), bamboo, or evergreen trees. Think thick, dense, and prickly. Research repellents for your critters such as egg/water spray (for every 1/4 acre, spray a solution of 5 eggs with 5 quarts of water). There are commercial repellents you can buy as well (ask your garden center for an organic one). Some people say hanging up bags of human hair in a net, strongly scented bars of soap, or urinating around your yard deters deer. We haven’t tried any of these, but would sure love to know if you do and they work … haha! Hang up metal pie pans to clang against each other. The noise can startle critters. Try other visual deterrents like scarecrows or predatory animals like a plastic owl. Set out baited traps (appropriate for the size of your identified critter). Place nuts or leaves inside to attract them. Lay 1 inch or smaller chicken wire on the bottom of your garden bed to help prevent critters from burrowing from underneath. Use what you have! 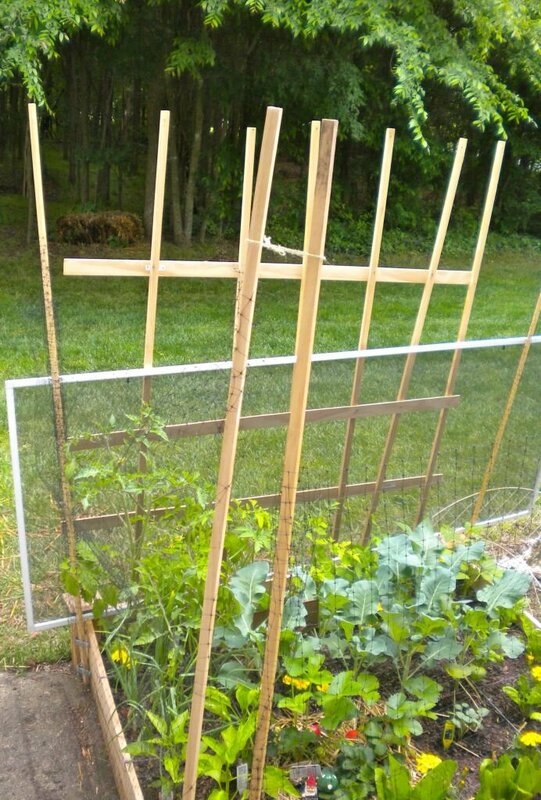 This is wildlife netting, a trellis, and a screen door to guard against critters. That’s all for today folks! Thanks again for joining us this week. We have two more exciting days to go. Coming up tomorrow we’ll discuss seasonal planting and zones. Friday, we’ll cover pruning and harvesting.